Even in big homes one can surely find rooms and spaces that he or she’d like to expand at least visually. This can be a mudroom, a corridor, a walk-in closet or a pantry. When designed skillfully and competently, even such tiny and through passage rooms would be perceived as independent spaces with special style and concept. In fact these very rooms give us the biggest opportunities for creativity and originality. One of the walls stunningly disappears and you find yourself surrounded by mountains, or on a park alley leading far away, or by the window opening to a picturesque garden. These fantasies may come true with the help of photo wallpaper. 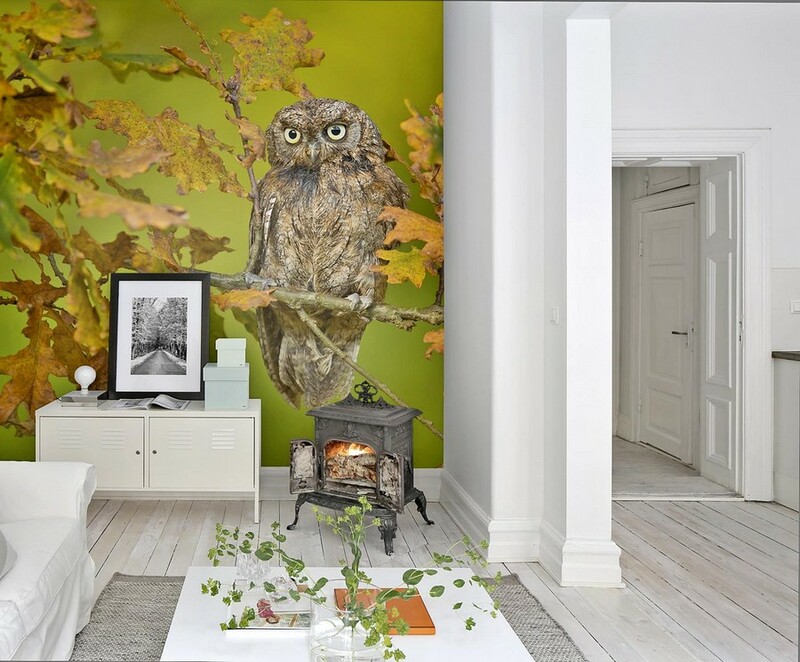 Ready-made wall murals or bespoke canvas made for your specific dimensions boldly change the optical geometry of small rooms and the power of their artistic impact is off the charts. 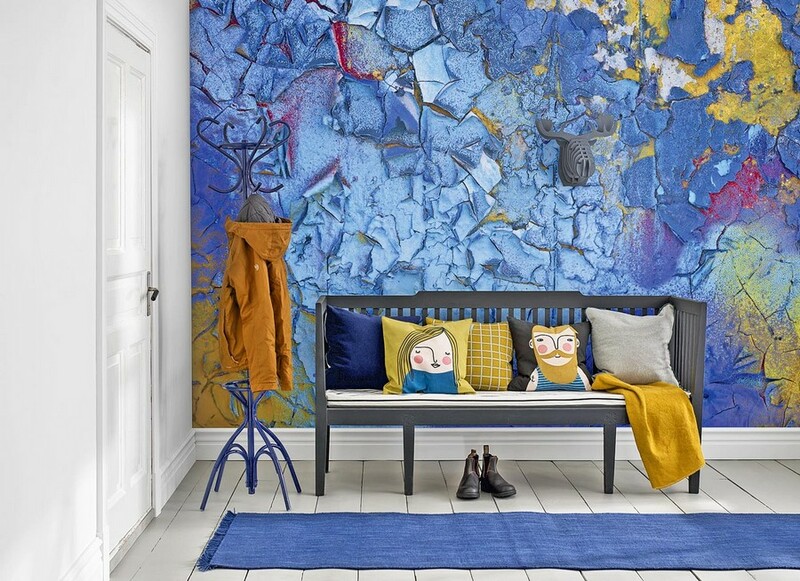 A wall with some bright and colorful wall covering or/and unexpected texture immediately attracts attention. And if some original piece of décor is put against such background, it will surely become the centre of attraction. This simple trick distracts the eye of the observer from instinctive assessment of a small room according to the stereotypical floor-wall-ceiling scheme. 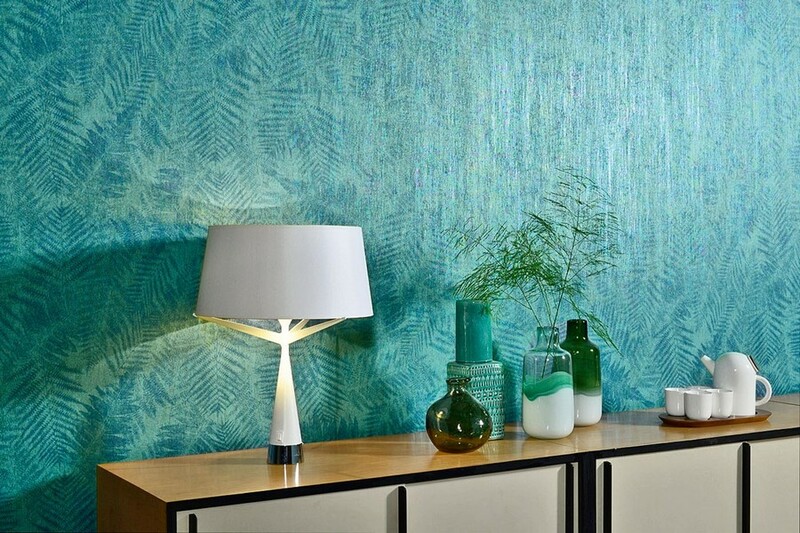 Metalized wallpaper made with spray up technology application, using a method of reinforcement or by gluing thin foil on the backing is very good at expanding limited areas visually. The best options are those with dissimilar levels of glimmer or combining glossy and matte textures. 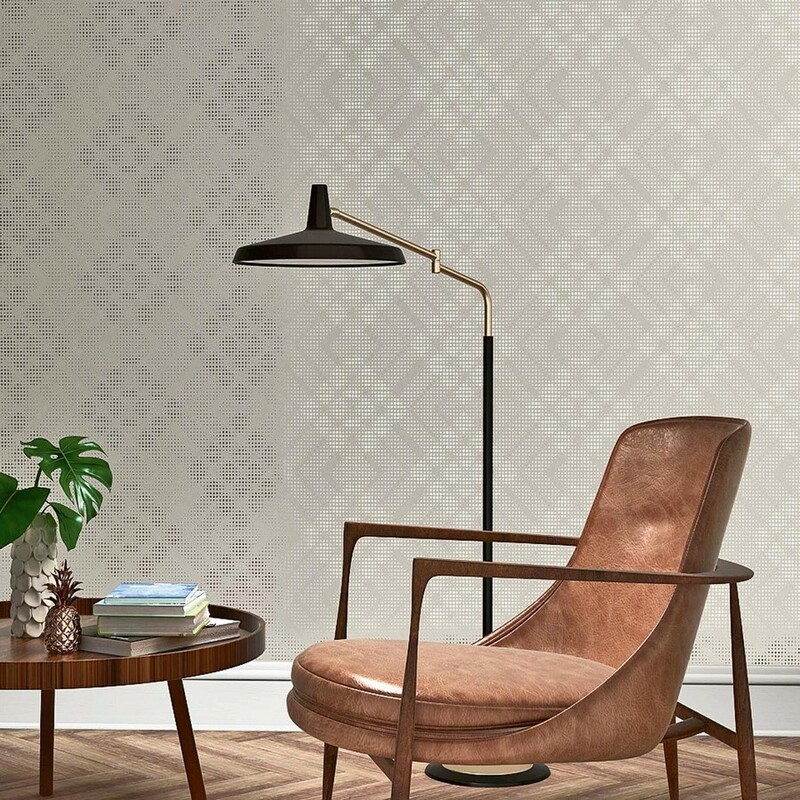 But, please, be informed that glossy surface of metalized wall coverings reveals all the imperfections of the wall, so you should make sure that the background is ideally prepared for this finishing material. 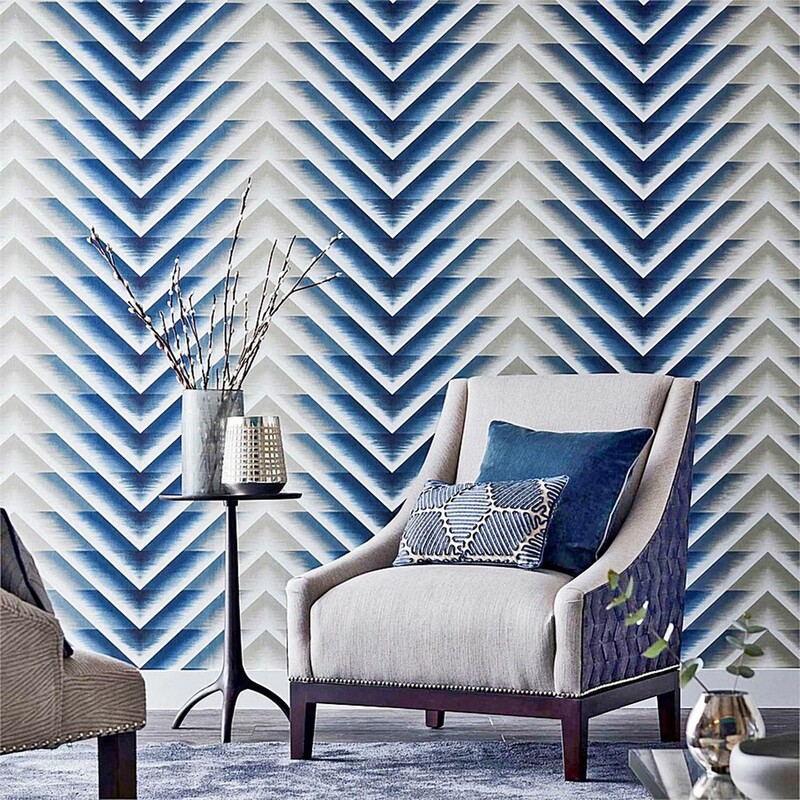 A wall covering with a clear vertical or horizontal pattern changes the way we perceive imperfect rooms. Thus, vertical strips narrow a room down and lift up the ceiling, while horizontal lines create the opposite effect – the room would look wider than it really is and its ceiling would appear a little bit lower. One more unhackneyed trick that would be just perfect for long and narrow spaces is covering the end wall with dark wallpaper; this way this wall would optically project ahead and visual proportions of the room would be more comfortable. 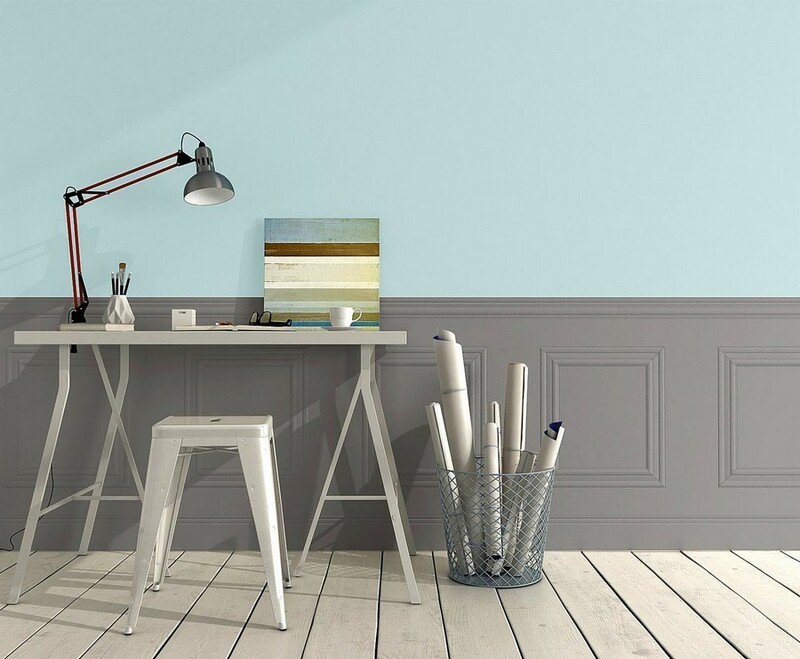 A classical method of dividing walls into a top and bottom part allows for combining different wallpaper patterns (as a rule from the same collection) or mixing wallpaper with other finishing materials, such as plastic, MDF or wood paneling, for example. In small rooms the bottom part is more exposed to mud and wear, so this decorative element may be also pretty practical. To escape the sense of limited spaces, do not put any big pieces of furniture in small rooms and, on the whole, try to get rid of any extra furnishing, which clutters the space. 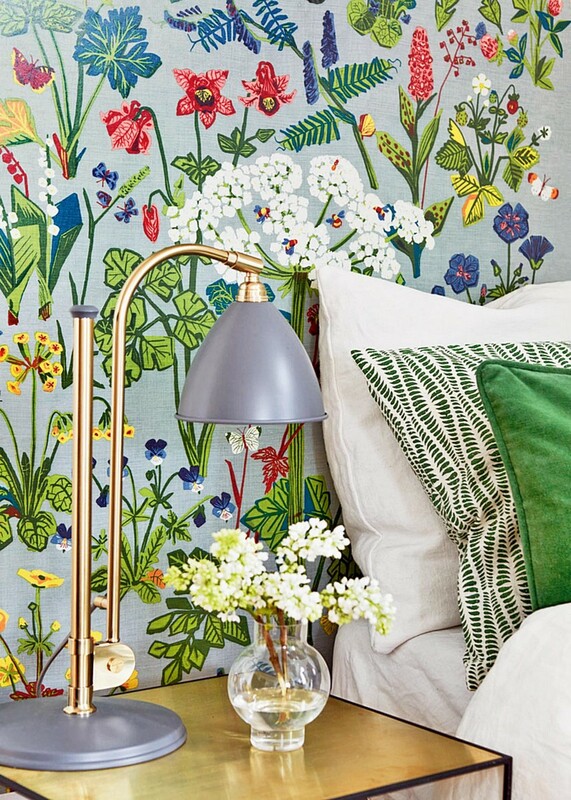 A small room finished with light wallpaper with some small-scale print always feels lighter and airier than a dark-walled one. If you’re a lucky owner of south-facing windows, you’d better pick out cold shades, such as light blue or green. And in northern rooms give preference to warm colors: yellow, orange, or peach. And remember that naturalistic color schemes create special atmosphere of confidence and trust. If you had your heart set upon light and especially super-thin wallpaper, make sure you hold the right preliminary preparation of the walls: choose exclusively white and super-white plastering, since even a light gray background may make the color of the covering duller.